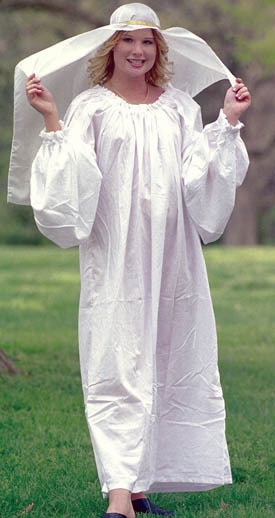 Made of 100% cotton muslin and machine washable, this chemise has very full and long sleeves, and ruffles around the drawstring neckline and elastic cuffs. One size fits all. Choose from White, Black, or Natural.